Based on the North Shore, Auckland, Michele is well versed with the diversity of the area. She uses her training and experience as a Real Estate Professional and her background in Interior Design to the benefit of her Clients. This gives Michele an invaluable edge as an Agent. 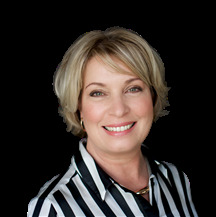 Michele has a wealth of experience and knowledge to draw on and delivers to her clients’ exceptional service. Her attention to detail and the thoroughness in which she applies herself to any task at hand is well documented. She knows that this is essential when marketing a client’s home and utilizes her experience and knowledge from her interior design extensively to further benefit her clients. Michele showcases her homes on her website, and utilizes a team of professional service providers such as a photographer, highly regarded staging companies, virtual tour providers, and graphic designers to assist in marketing her client’s properties.